You don’t have to do a total down-to-the-studs bathroom renovation in order to modernize your outdated bathroom. 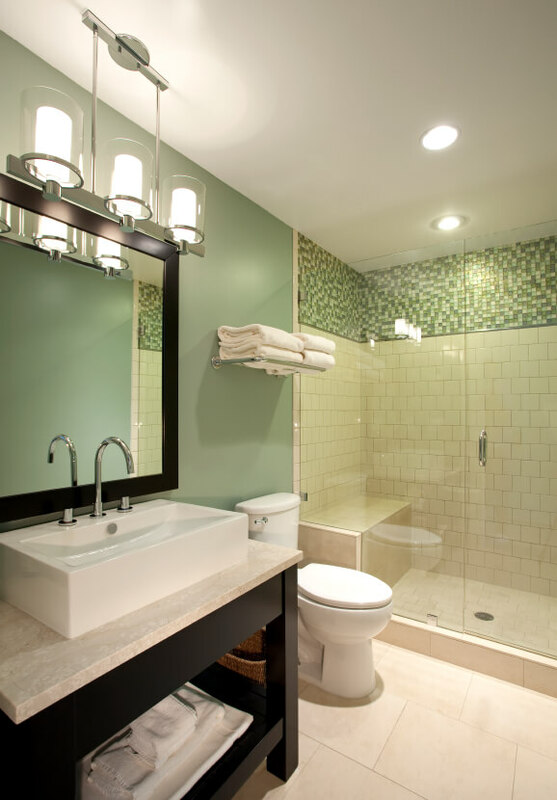 Homeowners may have a more extensive number of options when it comes to updating a bathroom, but even if you are a renter, there are numerous affordable ways you can transform an outdated bath into a modernized space. You can always rely on a fresh coat of paint to revitalize everything from a small side table to an entire room. Choosing a trendy color can wake up a tired bathroom. Painting the ceiling a complementary color that is a little lighter than your walls will make a small bathroom appear more spacious. It has become increasingly popular to choose something more interesting than white for the color of your ceilings. 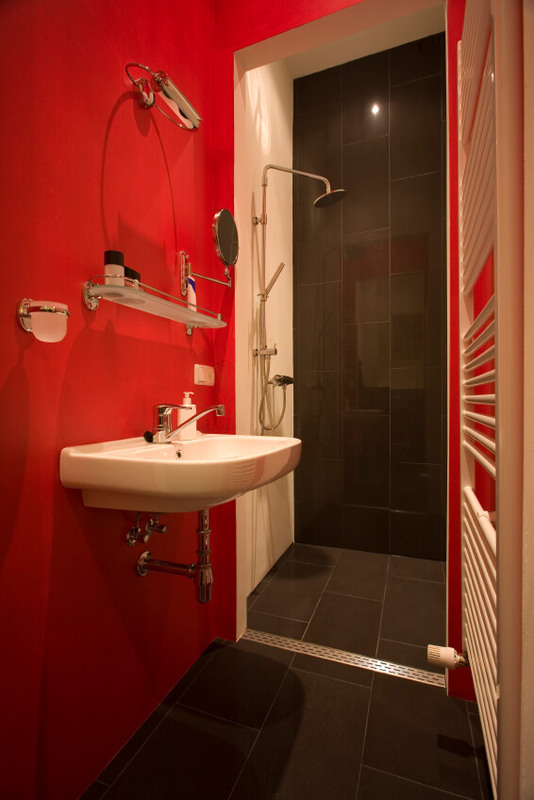 Red walls take this bathroom from boring to bold. After you paint your walls, you don’t want to put back the same boring, outdated wall decor that you had. One of the most eye-catching pieces of wall art in your bathroom can be a mirror. Splurge a little and get a modern-style mirror or a spectacular vintage mirror that will complement a modern decor style. As for any other wall art that you hang, make sure it exemplifies the simplicity and sophistication of modern design. Keep in mind that glass shelves can be a functional form of wall art in an updated bathroom design. With all of the modern and contemporary bathroom lighting styles that are available, you can easily find some that will fit your budget and your decorating theme. Replace your current unattractive lights with modern-style lighting. You might even find new areas in the room where a wall sconce or mini pendant light can draw attention to a previously unnoticed area of the room. 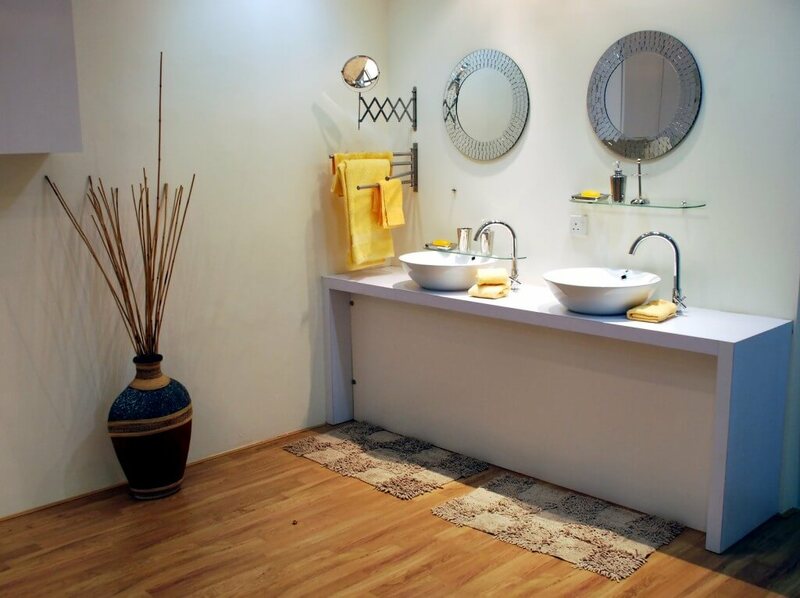 An incredibly inexpensive way to modernize a bathroom is to remove the clutter from your counter top and all other areas of the room. If you browse through photos of modern bathroom designs, you’ll see that there are few items on the countertops, and that what is there is neatly organized in some type of storage container. You can add some freestanding or wall-hung shelves to your bathroom as part of your updating plan. When you add open shelving, it’s imperative that you keep those shelves organized, not cluttered. Removing old towel racks and replacing them with more modern-style options is a quick and easy project. You’ll also want to replace worn-out, unattractive towels with more luxurious, trendy towels to further improve the appearance of your bathroom. 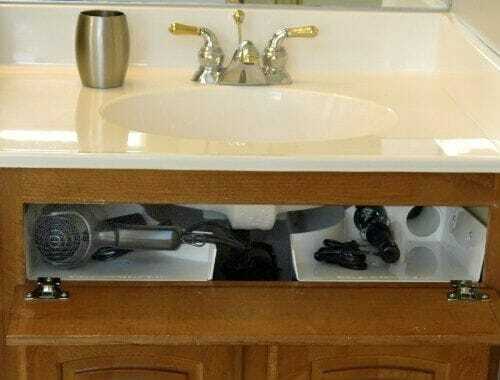 Removing outdated hardware on your cabinets and replacing it with a more trendy option can instantly modernize your bathroom. By directing your attention to small details such as vent and switchplate covers, you can add visual updates that will have a significant impact in the overall appearance of the bathroom. 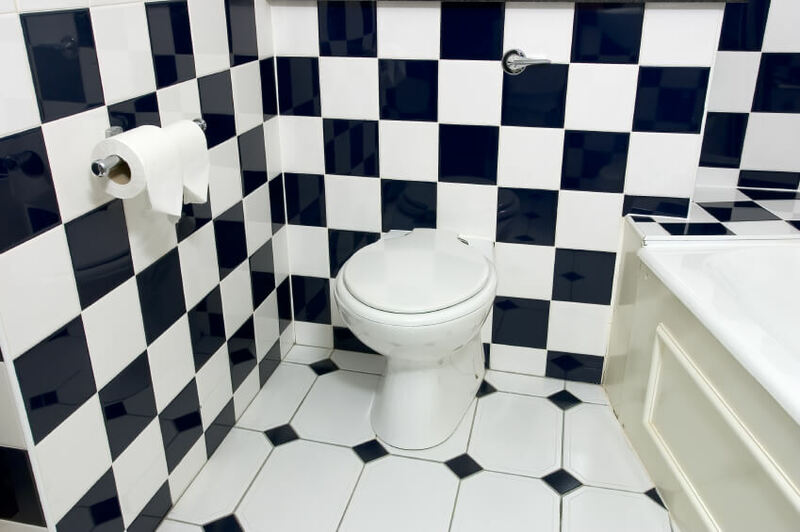 If you have the option to do so, updating the floor in your bathroom is a project you should move forward with. This could mean replacing the floor with bathroom tile or painting an unsightly wood floor a color that is compatible with your updated decor. If you rent and can’t alter the flooring, you can rely on a rug to hide an ugly, outdated floor covering. 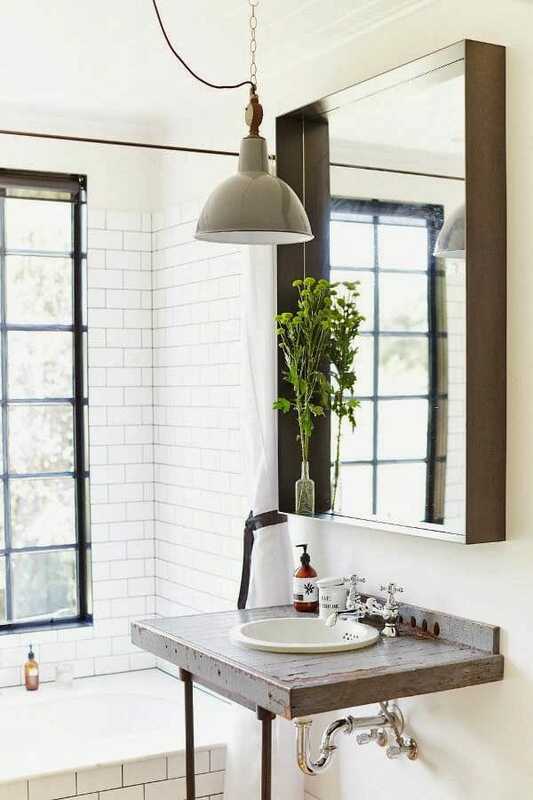 Modern bathrooms are all about personal style and comfort. Waterfall faucets and rain-style shower heads can enhance the elegance of you bathroom. Heated towel bars can elevate the luxuriousness of your bathroom. It is currently trendy to take steps to bring elements from the outdoors into your modern home design. Adding a few lush green plants to your bathroom decor is a great way to celebrate nature and beautify the room.